1/3 of Rheumatoid Arthritis patients do not respond to currently available biologic treatments. Most patients eventually stop responding even after a successful response. Even a so-called successful response is often a 50% reduction in symptoms, with patients still functionally disabled. Apparently, most people assume that treatments work similarly for all Rheumatoid Arthritis patients. Actually most doctors I’ve talked to have that impression. I guess it’s hard to imagine a disease so sneaky and evil that treatments only work on some patients. True, this is one more block in the bridge of awareness that we must build: explaining how greatly new RA treatments are needed. But there are good reasons for the confusion. It makes sense logically that costly designer drugs would work. Biologics commercials make it look like we can get our lives back. Statistics are confusing on how many patients are actually helped by biologic treatments. The objective of this study was to systematically review and quantitatively evaluate the relationship between clinical response to biologic treatments and number of previous treatments with tumor necrosis factor-alpha (TNF-alpha) inhibitors. Several review studies have attempted to summarize data from these studies but no clear guidance has emerged from these publications… These results suggested that the probability of achieving a clinical response declines after the first TNF-a inhibitor, a trend that was observed in our study as well, even when the other biologic DMARDs were considered. Given that a substantial proportion of patients will fail an initial biologic treatment, establishing when and how to initiate treatment with these agents is just as important as establishing the relative value of long-term treatment strategies. In many instances, these long term strategies involve a sequence of treatments, so the question arises at each step as to which therapy to use as a replacement when a particular therapy must be stopped for inefficacy or intolerance. The exact form of the relationship between response to treatment and number of failed TNF-a inhibitors is likely to play an increasingly important role in defining treatment strategies for RA patients with an inadequate response to treatment with TNF-a inhibitors. The full study on subsequent biologic treatments is available here in a PDF. I typed out some long quotes, but when you have time, the rest of the PDF is interesting reading. Wow! I’m so glad you found this study! I have been on Enbrel (stopped for injection site reaction and increased joint pain (but after stopping saw that it did help *some*) so onto, Remicade infusions. Expensive as heck, stopped working like 4 months in. Had to increase my prednisone (I know groan) and hurt all the time. Took one last dose (just in case), and will be starting another biologic after I talk with my rhuemy next week. I will be armed with questions. Hopefully between him and my insurance I will be getting some relief. I just don’t know if there is any “wiggle room.” I have only been diagnosed over a year! That frightens me. I hope that there are really new treatments. But more importantly, as you point out, tests that actually show, which drug will work on my RA. I hope that someone is working on that, PRONTO! Thanks Kelly, happy morning to you. I guess I’m a little surprised that this article was published. The authors stated a number of problems with getting the data they wanted and in the end weren’t able to conduct a formal statistical analysis. Ultimately their main findings were more anecdotal. I don’t doubt the general claim though. It seems to make biological sense. I would think that if you failed to get a response to a couple TNFa inhibitors then the likelihood that another TNFa inhibitor would work is lower. If a TNFa inhibitor worked for you but then stopped working or you had certain adverse reactions then I think it would be well worth it to try another. While all of them work on the same general principal they are all very different molecules with different mechanisms of binding up TNFa. I am recently diagnosed, and was told the “good news” that there are many drugs to control this. Not so good now that I look into this. 1. They are so expensive, I have horrible insurance, so not an option for biologics, the total yearly cost is only a few thousand less than what I make a year in salary. 2. what good are they if they only get you 5-6 years? I’m 36. This is all extremely upsetting. Especially since it seems that the biologics will never go generic apparantly from what I’ve been reading. I just hope, that the MTX will work and continue to work with little side effect. Many of the companies that make these medicines have programs to help people get access to their medicines. It is always something to look into. I’ve heard many stories of people, even people with decent insurance, that have been able to work with the company to negotiate lower out of pocket expenses. Most of the drug makers of biologics, have assistance programs to help RA patients with the cost of these drugs — they are not just for the uninsured. I’ve read posts from RA patients WITH insurance that have gotten help, and pay copays as low as $10, and not all of these assistance programs are income-based. Check the websites of these drug companies or check with your rheumatologist. You asked what good are these drugs if they only work for 5 or 6 years? Well, every year that you can slow the progression of RA helps stave off joint damage and the need for joint replacement surgery. Be hopeful — I was diagnosed 34 years ago, and have seen a lot of changes in the understanding and treatment of RA — better drugs/treatments may be developed or one day a cure — we have to remain hopeful. MJ I hope you saw some of the responses. I feel the same way many days. But, there is hope even though RA is a very tough disease. Treatments work for some people even though at times you may have to wrok to get them or feel sick. There is no guarantee, but mtx does improve the “disease progression” pattern for many, studies are showing. And it is cheap hopefully it will make a difference. Honestly, research is our biggest hope. good points, Jewell. I don’t think we should give up either. I’ve been through 5 treatments that didn’t bring any response at all – except perhaps an occasional reduction in fever / fatigue which I’m unsure of since those symptoms vary for me. But my joint pain / progression is unswerving and I’m still trying new things. Kel, hate to mention this, but I’ve read a couple of things on medscape lately where docs state specifically that RA is NOT a febrile disease. These were not articles about RA though – just where RA was in the differential dx. I forgot to look at their creds though! 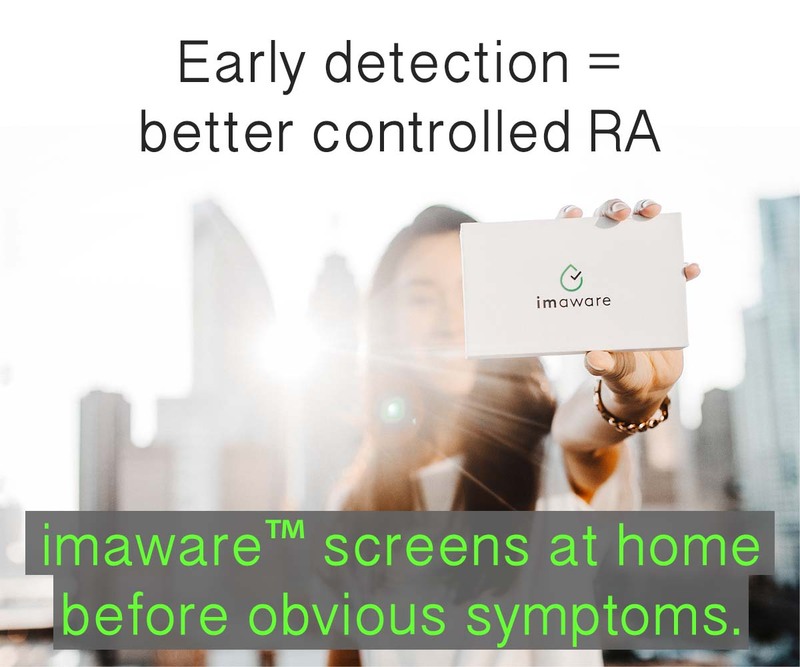 I’ve read many articles on so-called reputable sites that have erroneous information like that about RA. That problem has definitely been discussed here on occasion. And I have a fun list of things like that which I’m saving; so you can email me the link if you like. I might have some fun with it someday. FYI to anyone who needs it: Fever post here on this site – click here. I just re-read it and it’s got great links to modern scienctific literature on RA fevers. And it also discusses reasons that fever, one of the most classic symptoms of RA, is sometimes discounted as an RA symptom. Don’t forget the 70 comments! I don’t think this is accurate. I just read a couple research papers stating the opposite. I have been functioning very well for over 6 years on biologics and many people even longer. Some people are very fortunate with the biologic’s like Anna above. I have a friend who has had great success with Remicade for many years. I had planned to be one of them, however it didn’t pan out. I’m on my second biologic and was diagnosed 18 months ago. I feel like this second one is already becoming less effective. I have read in clinical trials with biologic’s that patients have great success. Here is an excerpt from a study I read yesterday from the National data bank for rheumatic diseases Jan 2011 newsletter: “We studied 264 RA patients who completed a commercially sponsored trial of a Food and Drug Administration approved RA treatment.We evaluated changes in patient functionality, pain, overall health, and fatigue during three periods: at the start of the trial, at the end of the trial, and 8 months after the close of the trial. Patients were receiving the same treatment the entire time. We found that from 23% to almost half of the benefits seen in the trial had disappeared 8 months after the end of the trial.” I wonder how they all were after a year? That does seem more realistic from what I’ve seen in fellow patients. My doctor wants to try Rituxin next if (or should I say when), Humira fails. Like I said before I believed and fully expected to have success like the commercials I saw on TV, so you can’t say it’s attitude. thanks for the info. on the prescrip. help. I was very luck to get blood tests and diagnosis with regular Dr. at a low cost clinic, but now it’s off to the Rhumatologist at full price for control of this beast. I’m just on Mtx. now, with mixed results, so-so I would say. At least I saved a little leg work. I will ask him about prescription cost help. I will also look into contacting my congress member about approving generic biologics. It’s unbelievable to me that they would raise the price, especially after lavishing all that cash on commercials. It seems so… fundamentally wrong. Thanks for all the responses on this site, and to Kelly. I would be one that fits into that study perfectly! I was on Enbrel for 1 1/2 years when it stopped working. I was put on Humira for a full 6 months with no improvement. I will be starting Rituxan after insurance approves it. I was told I am not a candidate for Remicade as it is another TNF blocker and 2 of them have already failed. At least I got by for that long feeling pretty good! Wonderful article. Thanks so much. My current Biologic is failing (Orencia) and I have had two allergic responses to it during the infusion process. Next up is either Rituxan or Remicade. I go through these cycles where I feel kind of normal for a couple days, then terrible for a couple weeks, then better but not quite good for a week or so. THEN it starts all over. The Methotrexate makes me nauseous to boot. It makes getting ready in the morning a very slow going adventure. My doctor told me about the spoon theory. If you are at all familiar with it…all I need to say is send forks because my spoons are all gone. Thanks Cheryl. I think I know what the slow adventure is like. That’s a good description of our life w/ RA. 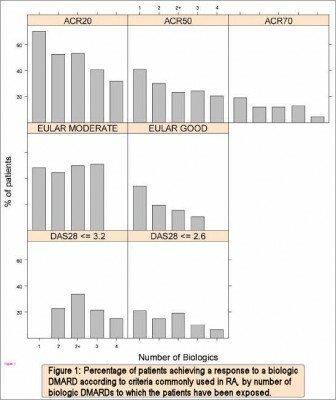 Regarding dose and frequency of biologics — there seems to be a standard or typical dose/frequency, but also variations. For example, enbrel is generally a 50 mg shot once a week, but my RA doc prefers instead two 25mg shots (spaced a few days a part) once a week. Also, some with psoriatic arthritis take enbrel at a higher weekly dose. Humira, originally I believe, was a shot every 2 weeks, but I’ve read some take it every week. That’s right. Many do take the full dose of Enbrel or Humira twice as often / a double-dose if you will in attempt to get a better response. The variations are also sometimes dependent on whether the patient will take methotrexate. 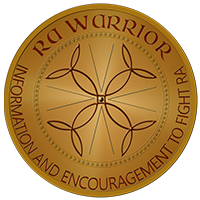 In so many ways, RA treatment is still in its “beginnings” compared to better understood conditions. Methotrexate is by far the best drug I’ve taken. Huge results at only 15 mg orally. If a biologic never works, then I know methotrexate would probably at least keep me out of a wheel chair. My doctor doesn’t think increasing mtx above this dose is beneficial from his years of experience with patients. I would like to try it though, just for grins 🙂 I am reluctant to go through years of trying multiple biologics. This is an interesting subject. When I was diagnosed with RA at 22, the only thing that did provide relief was biologics and for 9 years they worked great. Yes, I had about one or two REALLY bad days a month but most of the time I could live with the pain. the last couple years, this hasn’t been the case. Enbrel and Remicade stopped working, tried Oriencia and it never really worked and now I’m getting ready to start Rituxan. What I feel most terrible about is that I feel as though I gave other false hope. when I was doing well with the biologics, many friends would ask me to talk to someone that was just diagnosed. I gladly would because I wanted them to know it wasn’t the end of the world and that biologics can really help. Now I feel like I lied to them all and gave them false hope because I’m not sure if I believe that anymore. Up until a couple years ago I used to constantly be smiling, laughing and having fun despite my RA, now my friends and family say they see me sad or crying more than smiling and laughing. 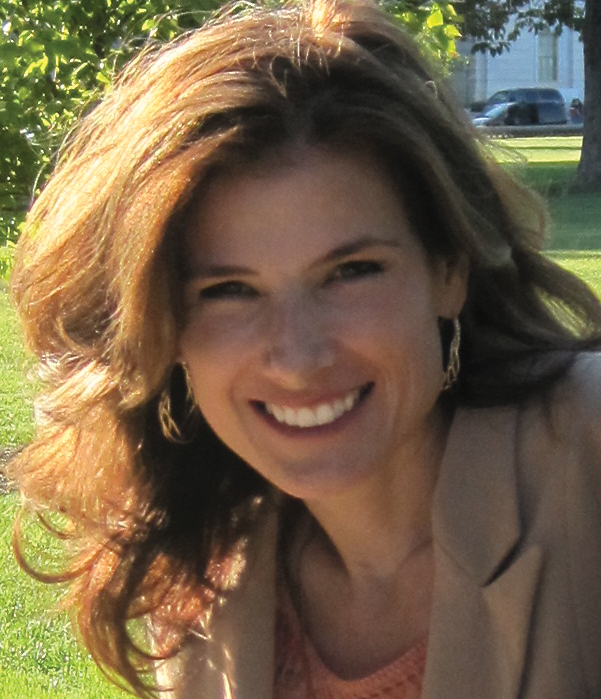 Kelly, thanks once again for helping us educate ourselves on available treatment options. This topic is particularly timely for me, because my rheumatologist just informed me it’s time to try my first biologic, after my less-than-stellar response to mtx therapy. I’ve been doing alot of reading before jumping on the biologic merry-go-round. I love that there is research on patterns of response, because I have a purely unscientific suspicion that each individual’s success with treatment is somehow tied to our ever-evolving immune response. Personally, I wonder if failure on mtx signals potential failure with biologics, and failure with each biologic increases the risk that we won’t find success with the next. In short, the very randomness of RA therapy troubles me and makes me hesitant to add that next drug. It was great to log on this morning and see that these issues are being researched. Now I’m heading to your link to read the entire report. Thanks! Dear Alice, I hope the Simponi works!! I get so mad when I hear that a treatment was working & it had to be changed. :/ If you ever need to try it, Orencia just came out in injection form. I’ll have another post about that in a day or so. I am currently on prednisone, methotrexate, and Cimzia. My pain level has been reduced, but it still hurts and I have to use a walker to get around. When I sit in a car or at a table or when I wake up in the morning, it takes about two hours for the stiffness to be reduced. I don’t know what to do and I’m hoping that you will be able to give me some information that I can take to my rheumatologist. I started Humira in July and was so pleased. I also take methotrexate, 20 mg orally. Well, I was excited but now it seems four months later the Humira is no longer working. Thank you Kelly for these posts. I now see what I am experiencing is not uncommon. Just wanted to add some hope… I’ve been on biologics since 1999, swiched once due to loss of efficacy. Im in remission, work full time and feel stronger than ever! Back in the saddle and training GP dressage horses on my freetime. I’ve been lucky, I know that…but keep on trying! There are more MOA now and the chance of something working for each of you just gets better with the JAKs entering the market. Keep fighting RA, I know I will! I was wondering if anyone has tried a more holistic approach to RA?? I was diagnosed about 2 1/2 yes ago and having a hard time taking these drugs!!! What about getting to the root cause of getting our immune systems working properly again?? I found a functional medicine Dr. who had done blood work to find out why my immune system is attacking itself. It is a long expensive process, but it sounds like what everyone else is going through is too!! I’m not judging, just wondering. I was finally diagnosed 2 1/2yrs ago after almost 10yrs of going to orthopedic doctors and 2 PCPs. My Vectra Da runs 44-54 on medications. I have tried Humira, Embrel, Xeljanz, Acterma, Sulfasalazine, Orencia and Arava. My inflammatory levels have not dropped, I run a low grade fever daily of 99.6 and the Rheumatologist is now suggesting Rituxan. Has anyone been on this? Any complications? I am very concerned about giving this one a chance since it is an IV infusion and you need to take predinsone & benedryl before the infusion even starts. Any feedback would be appreciated.